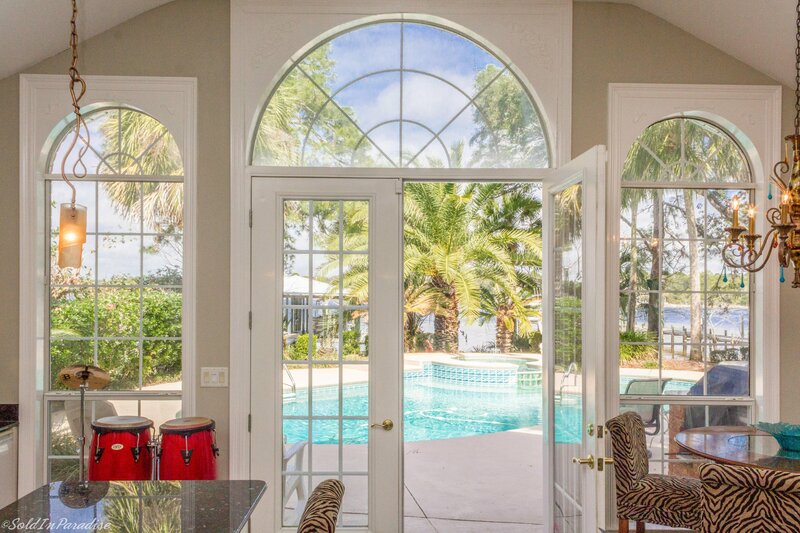 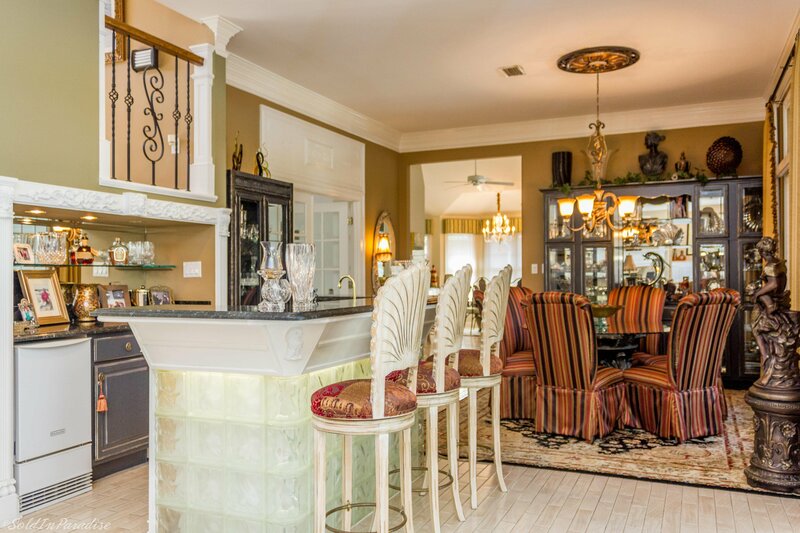 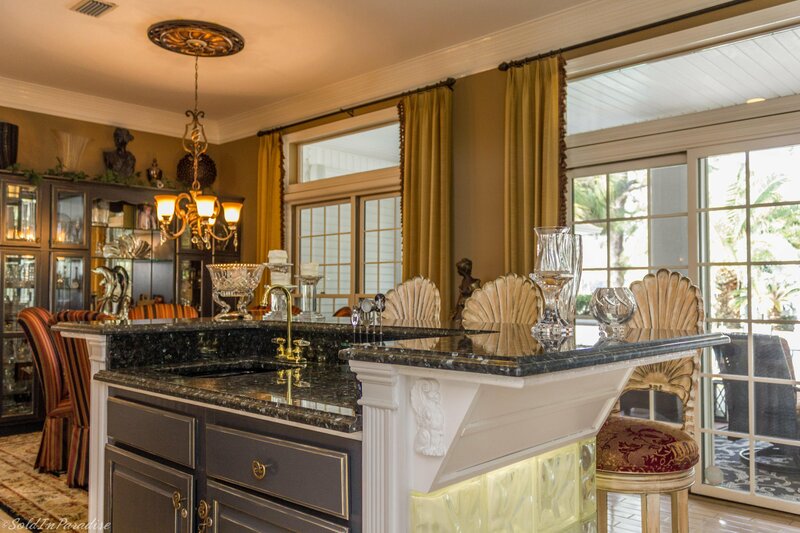 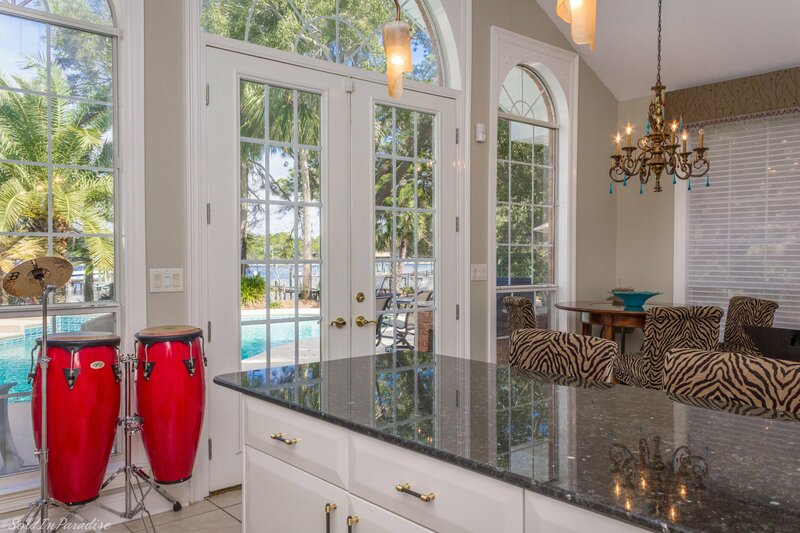 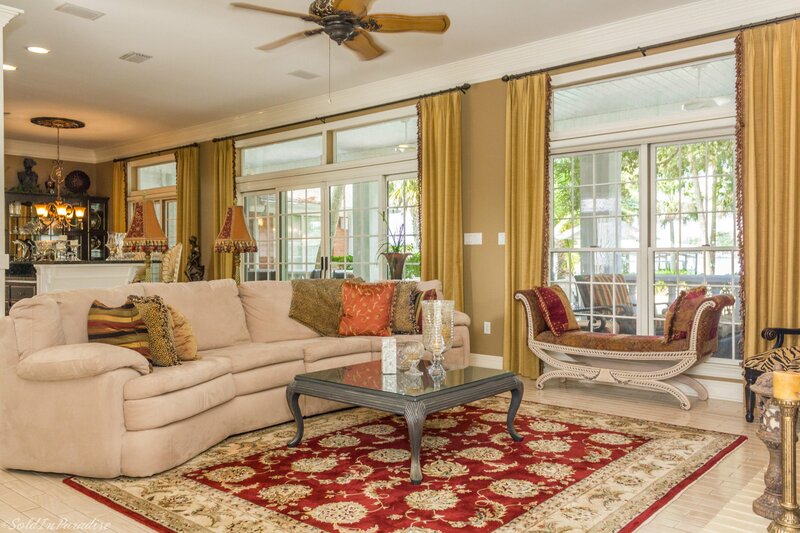 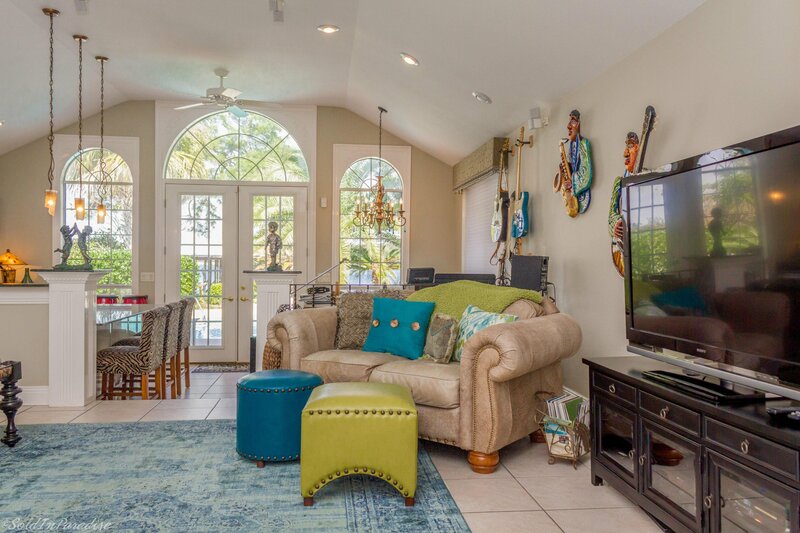 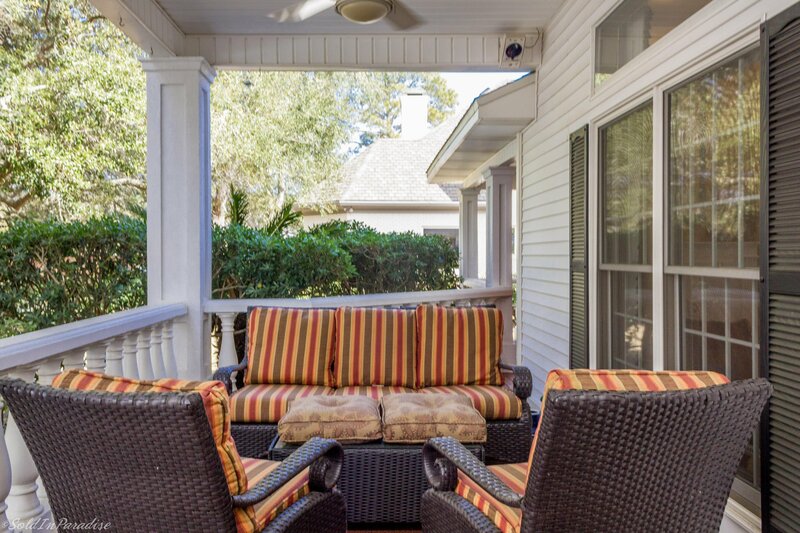 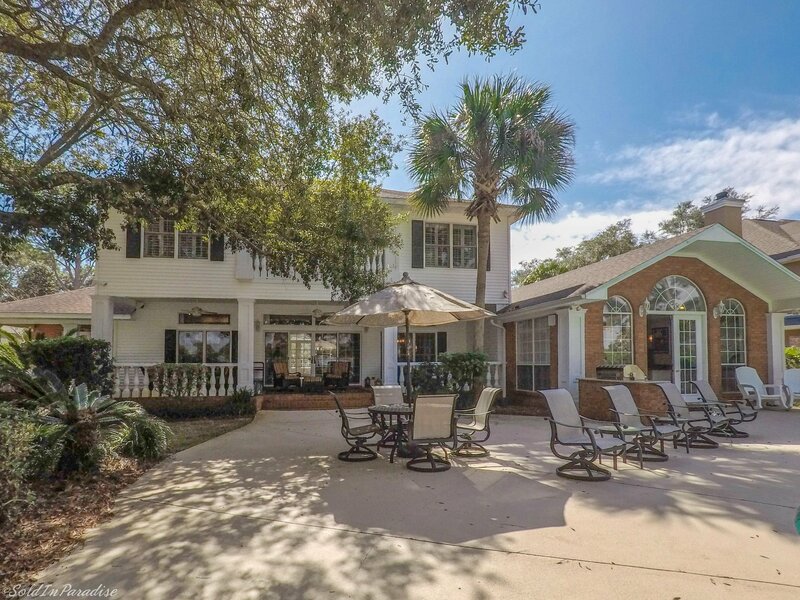 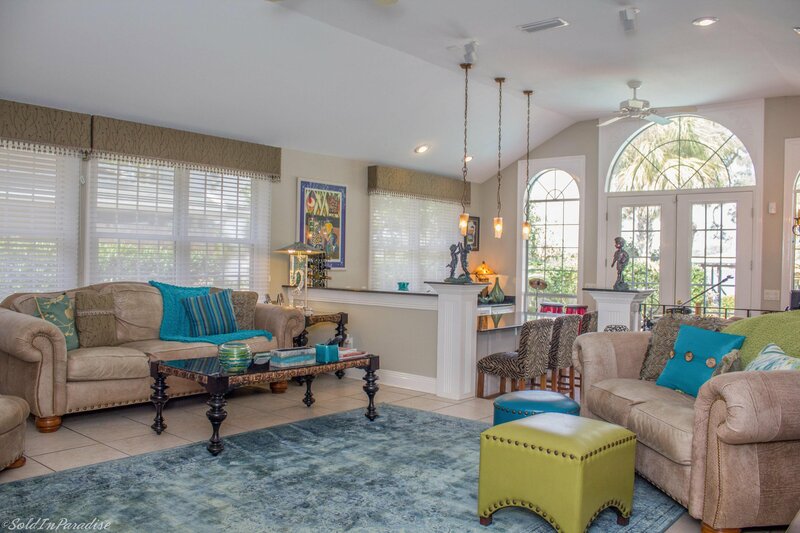 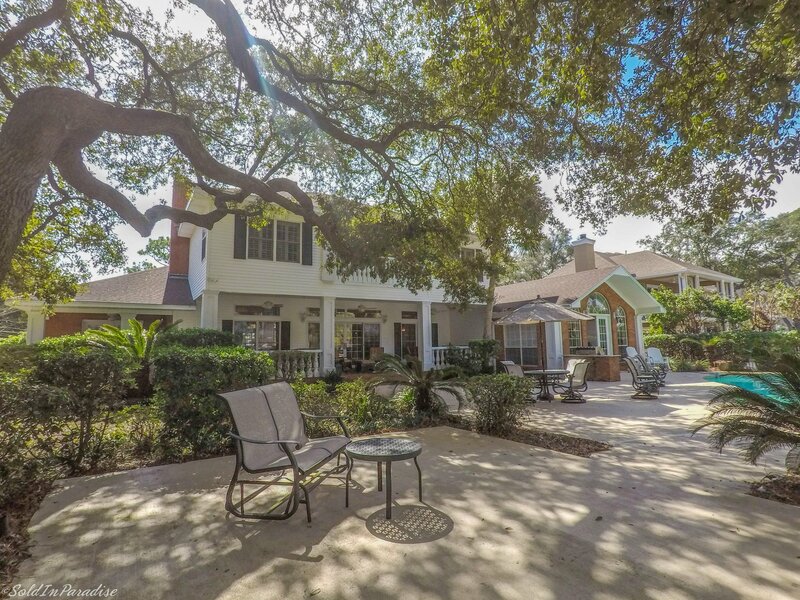 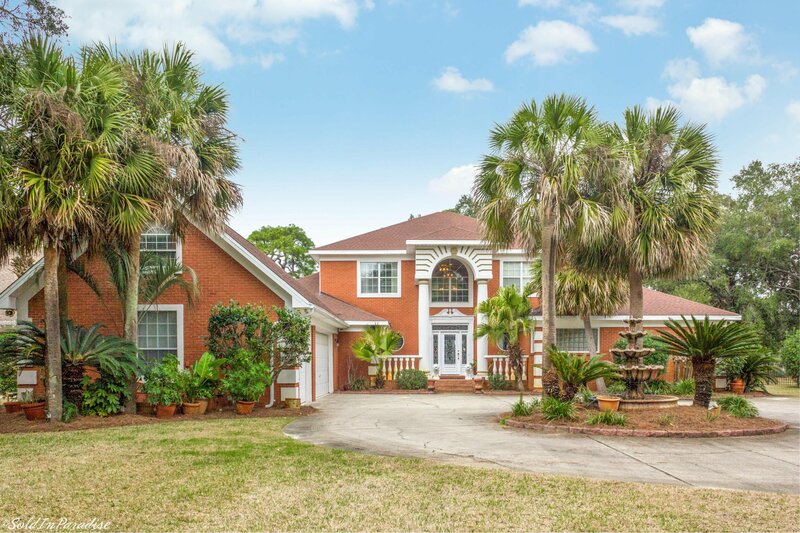 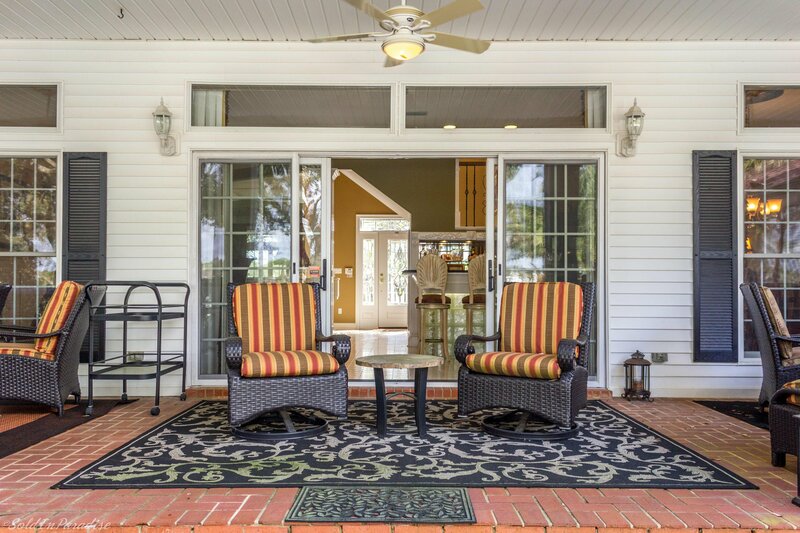 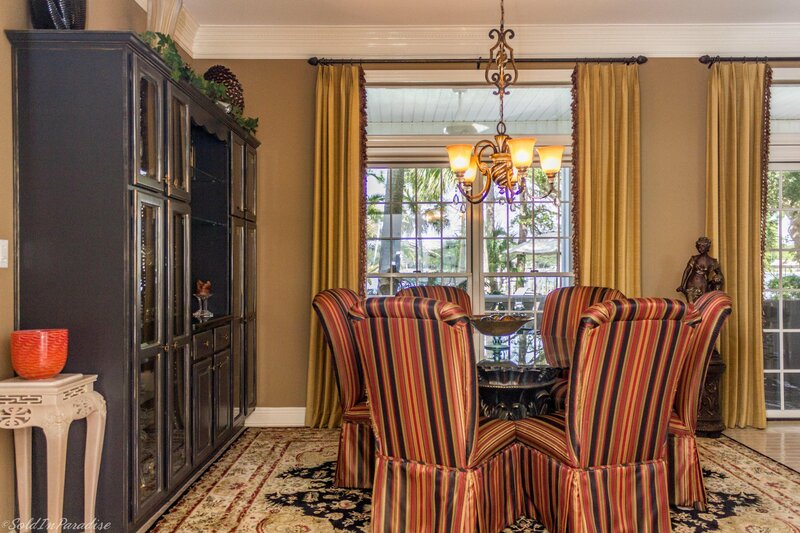 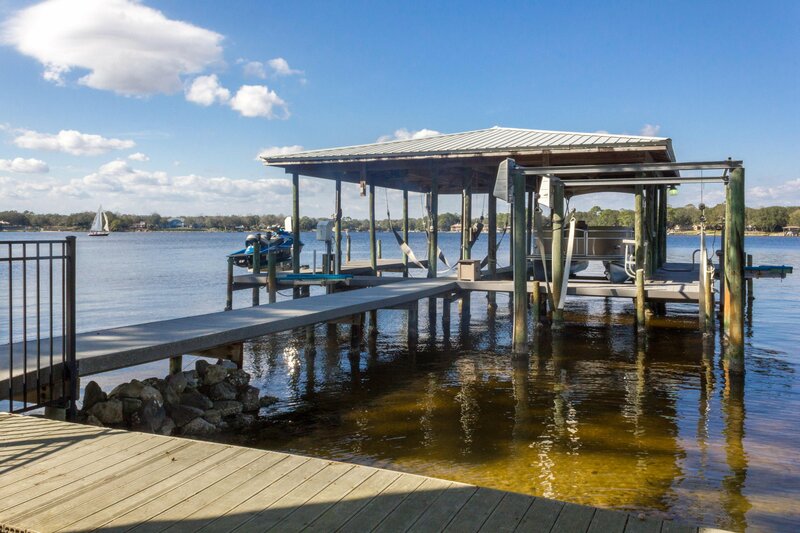 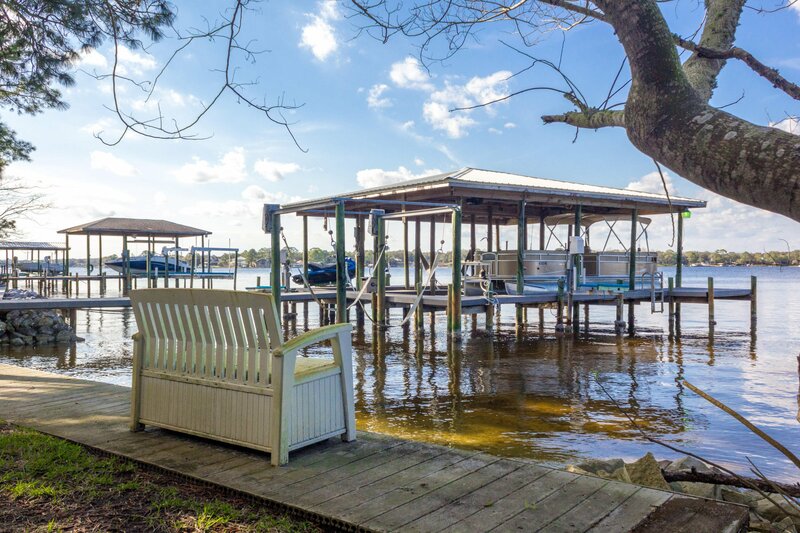 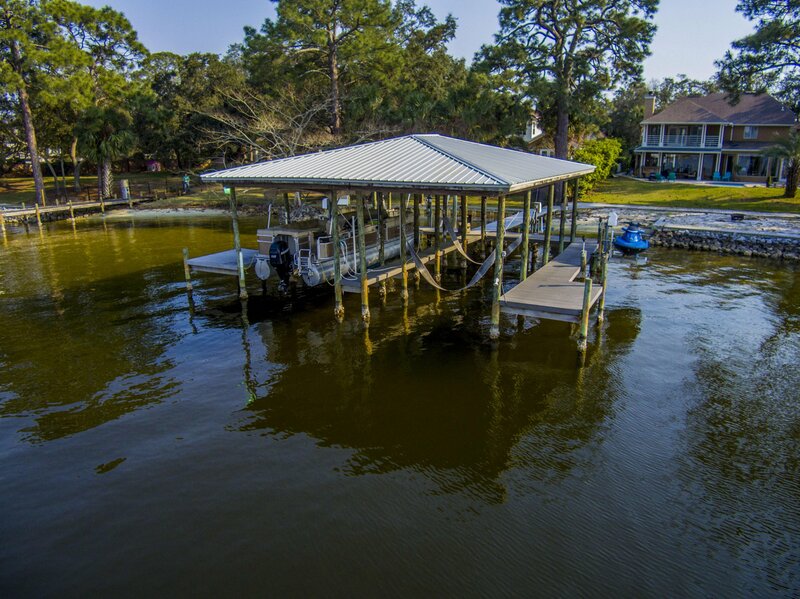 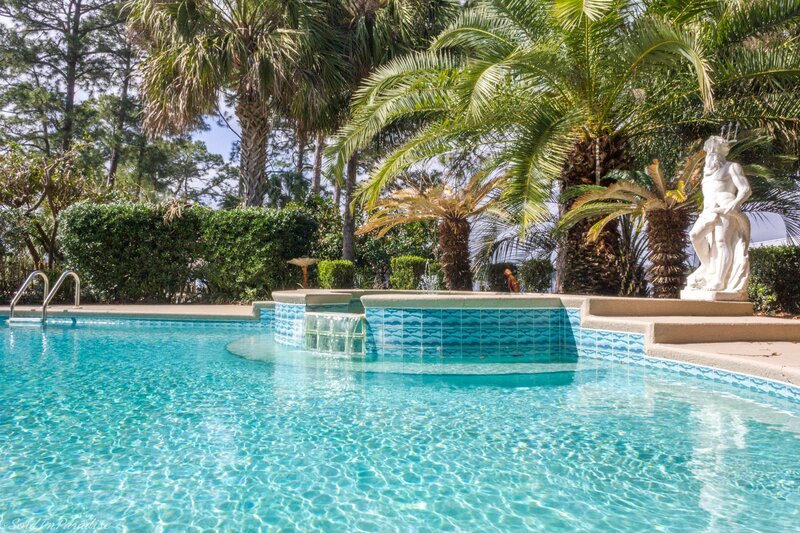 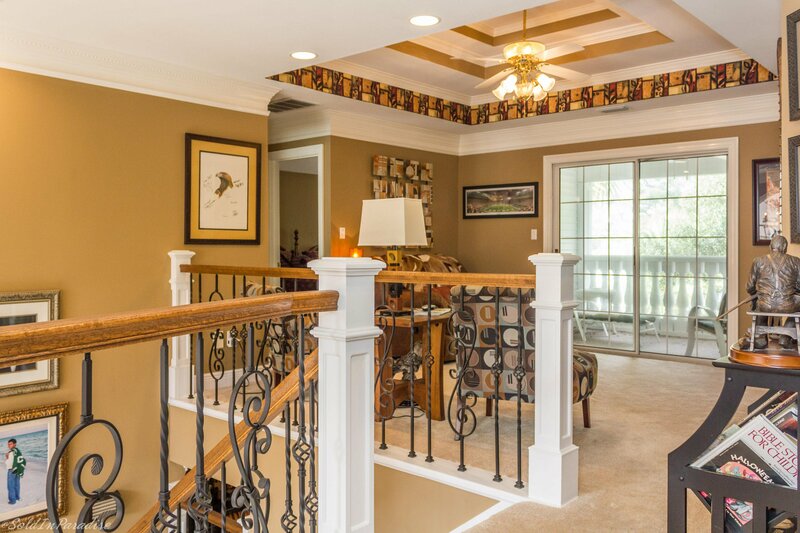 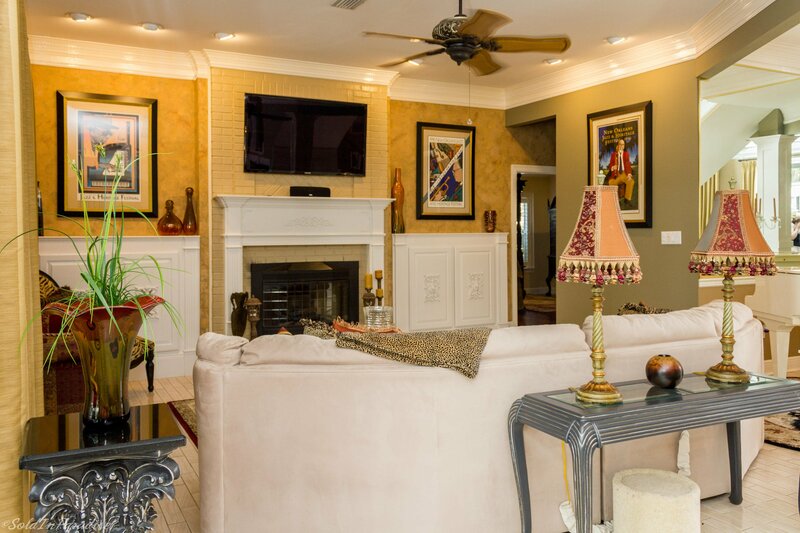 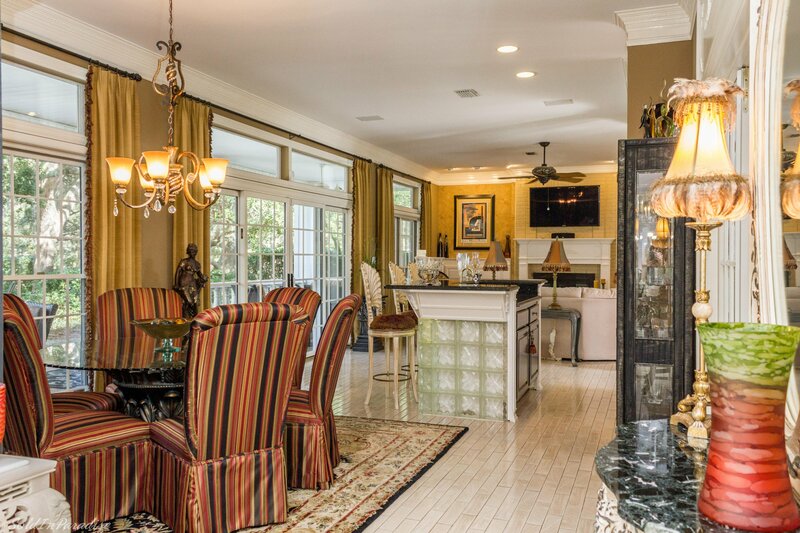 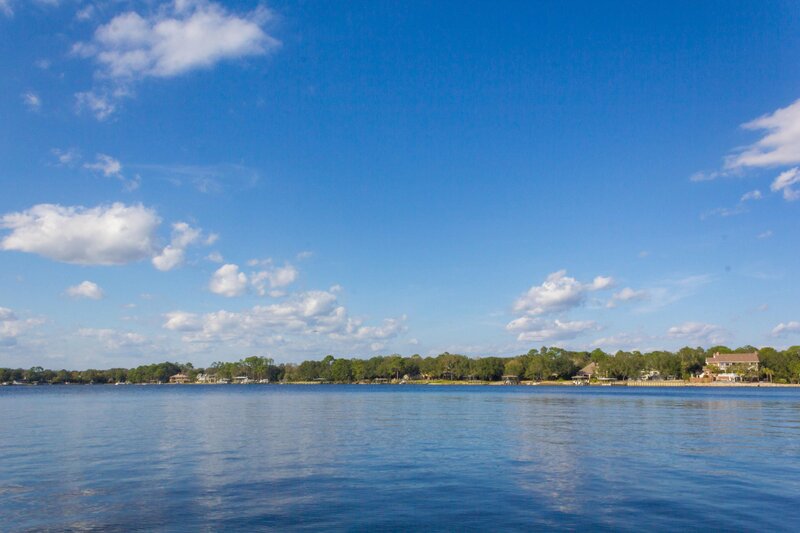 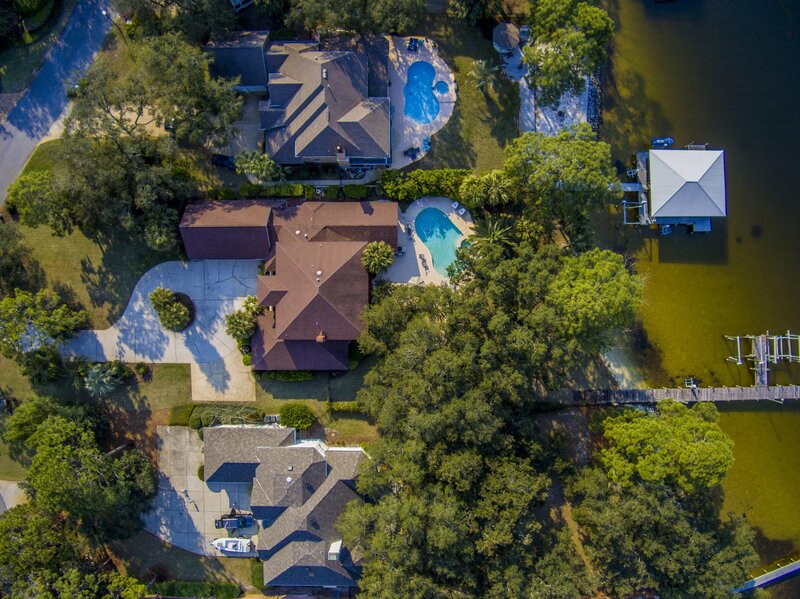 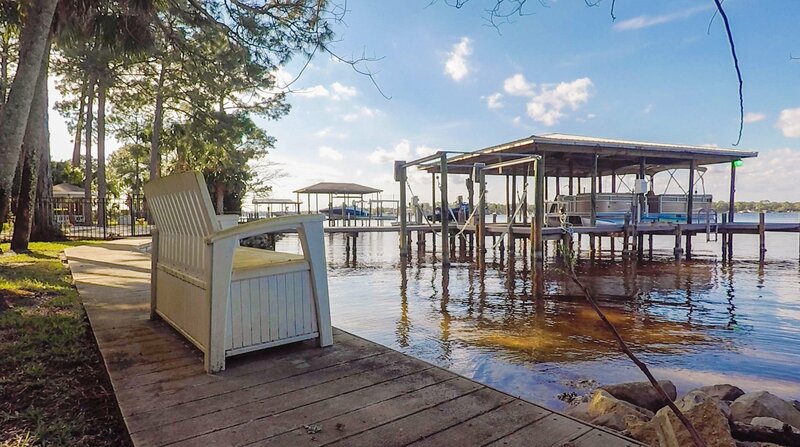 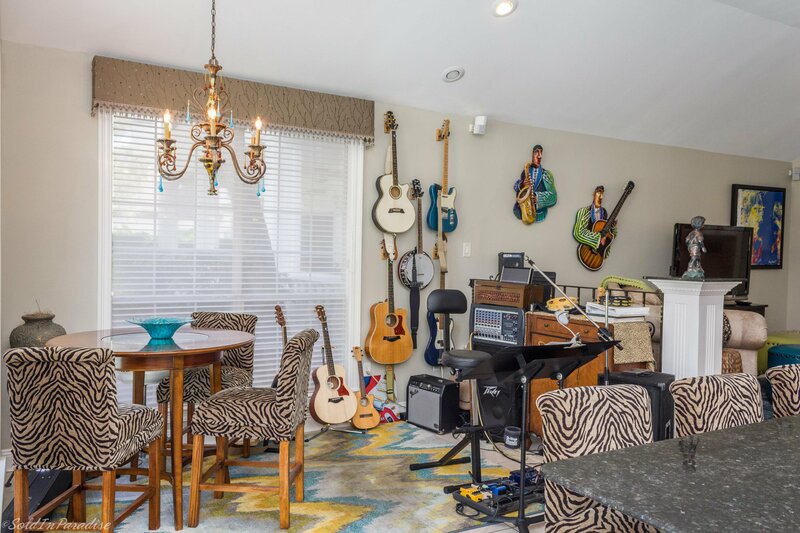 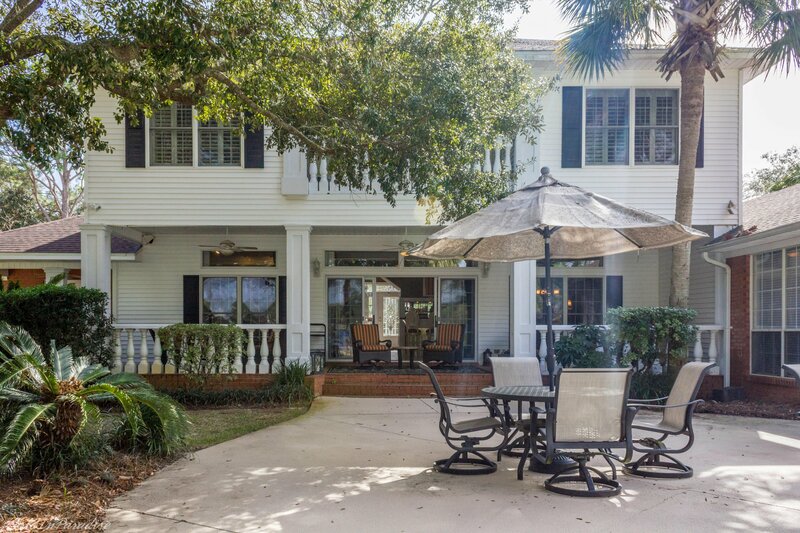 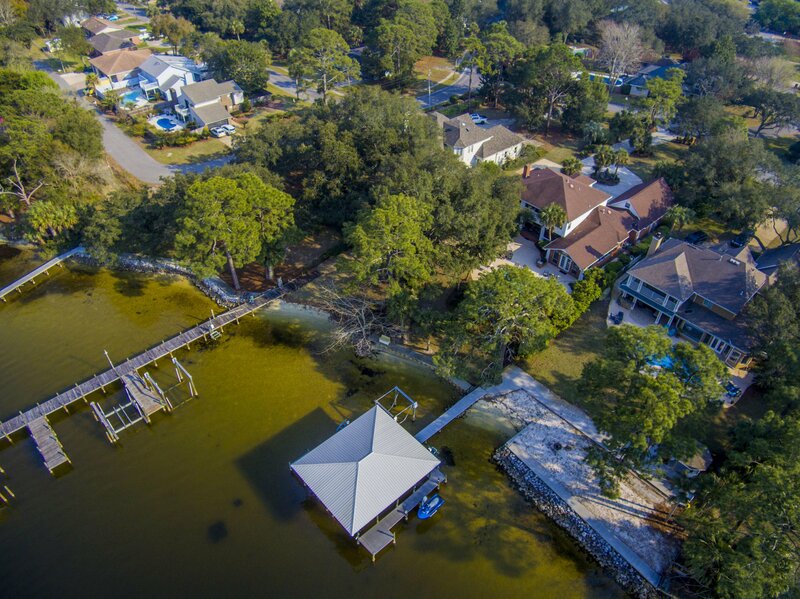 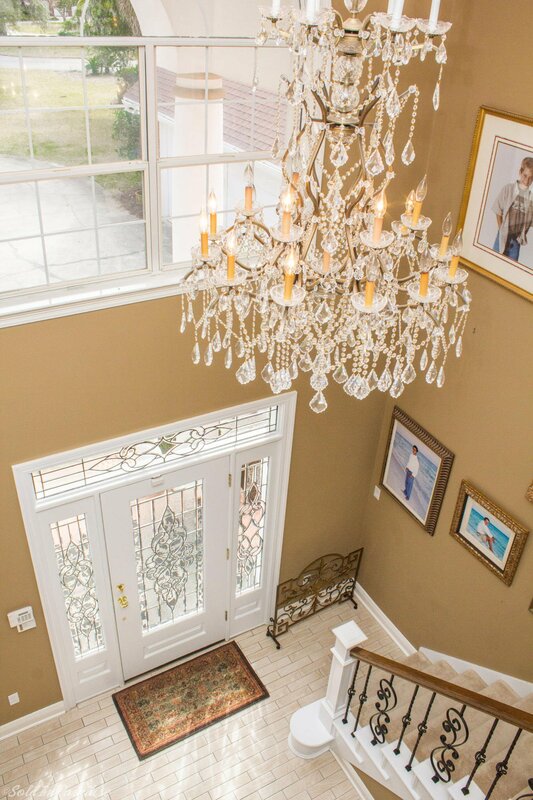 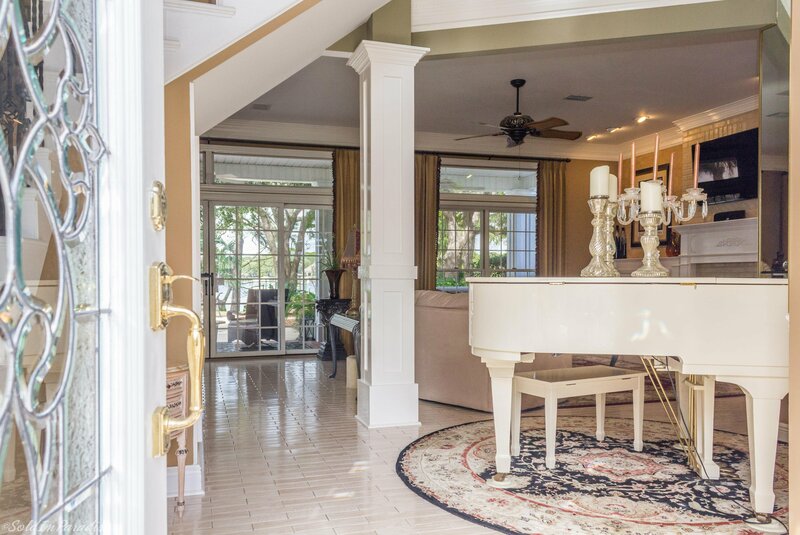 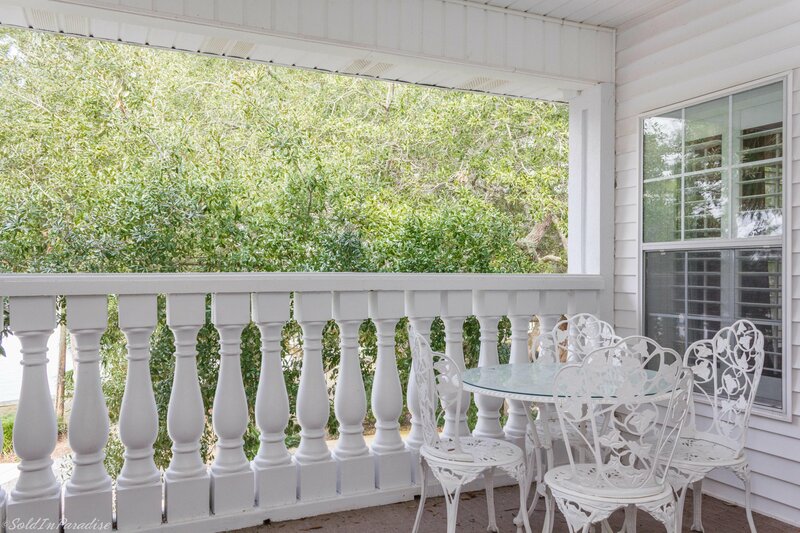 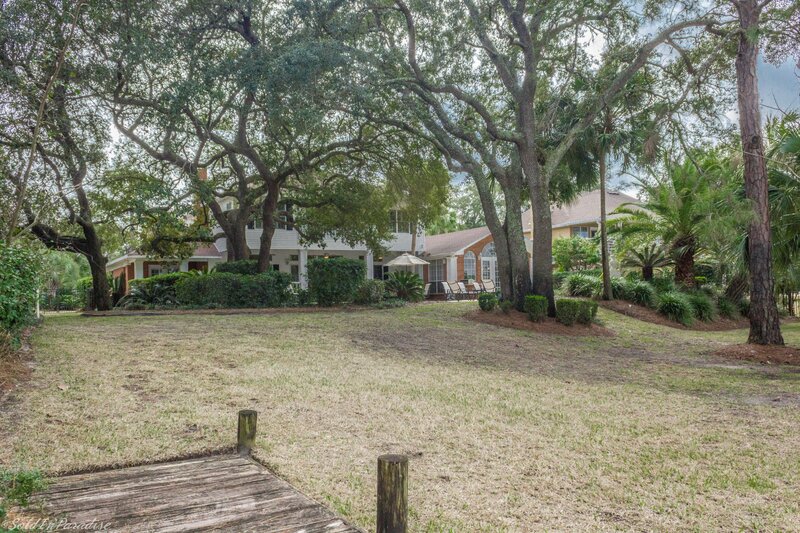 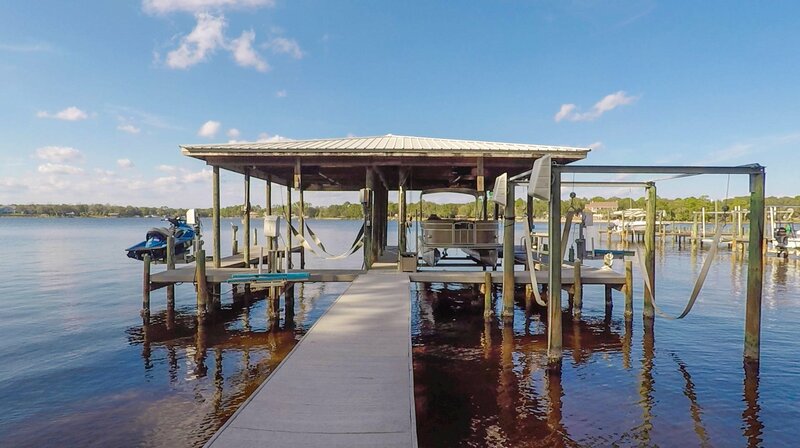 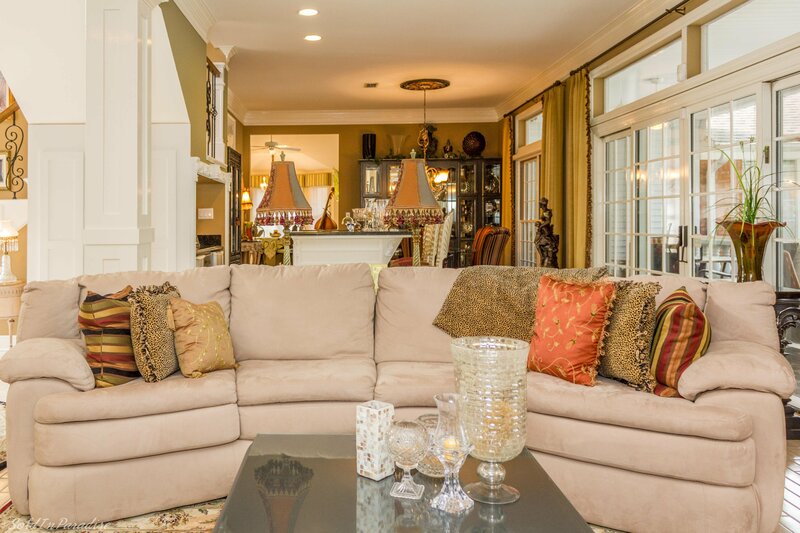 Gorgeous waterfront home located on the Bayou in Shalimar Plantation! 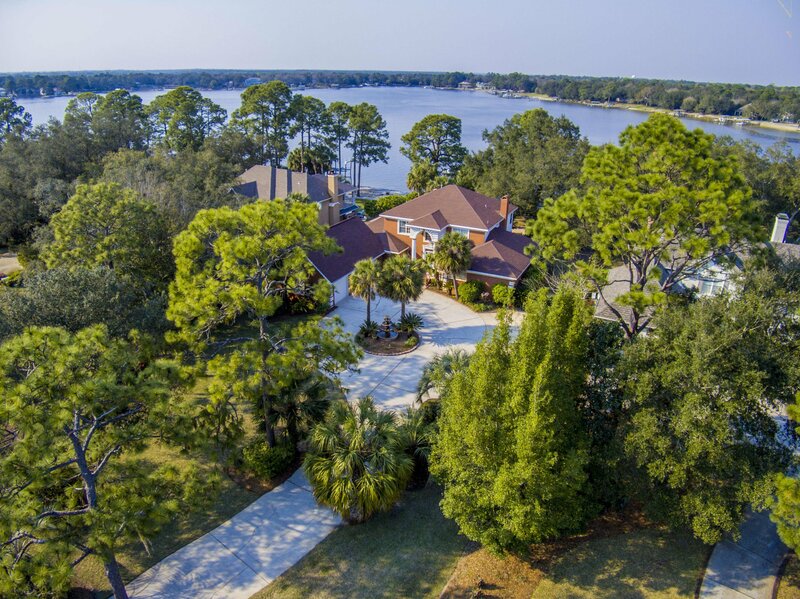 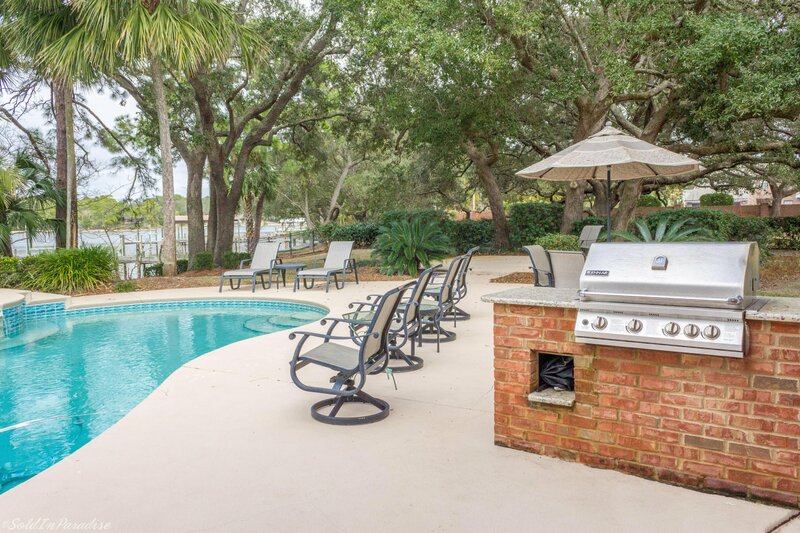 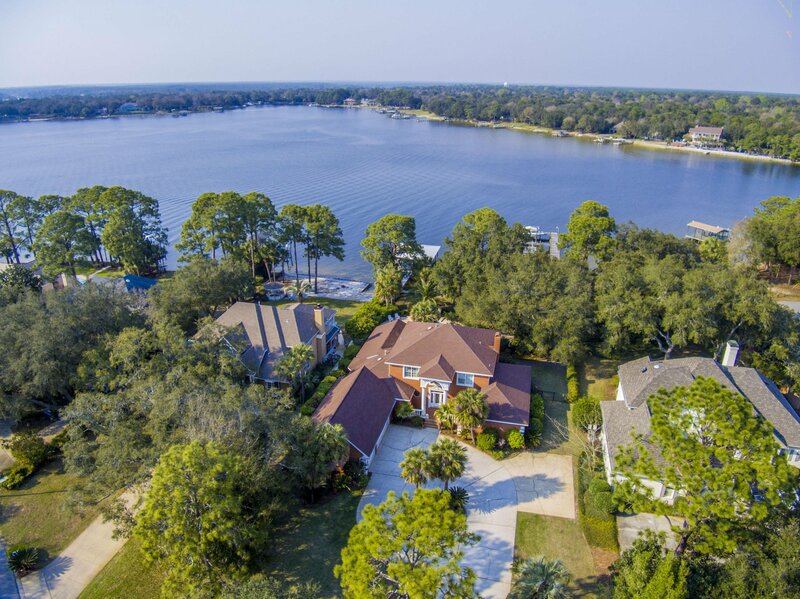 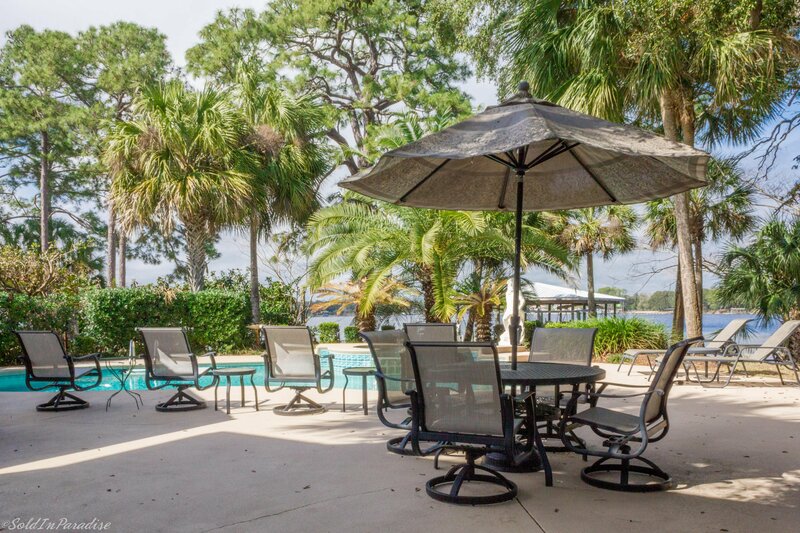 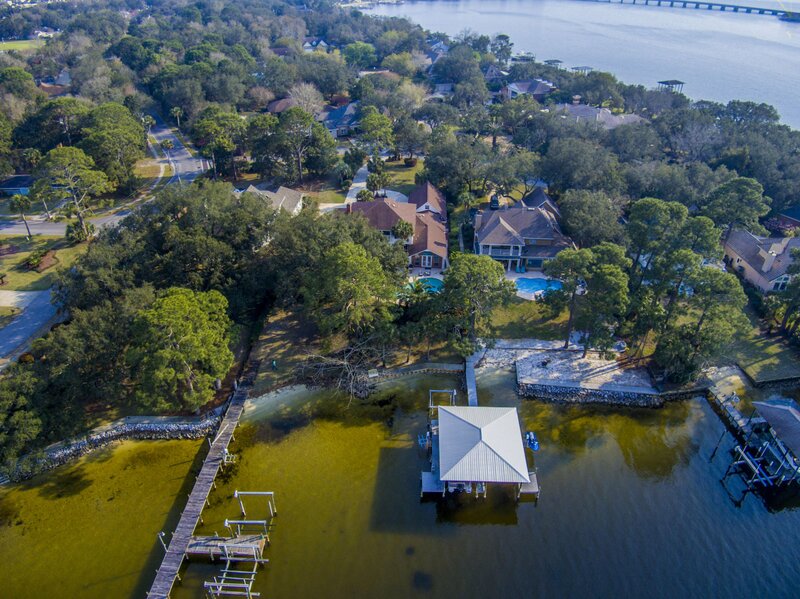 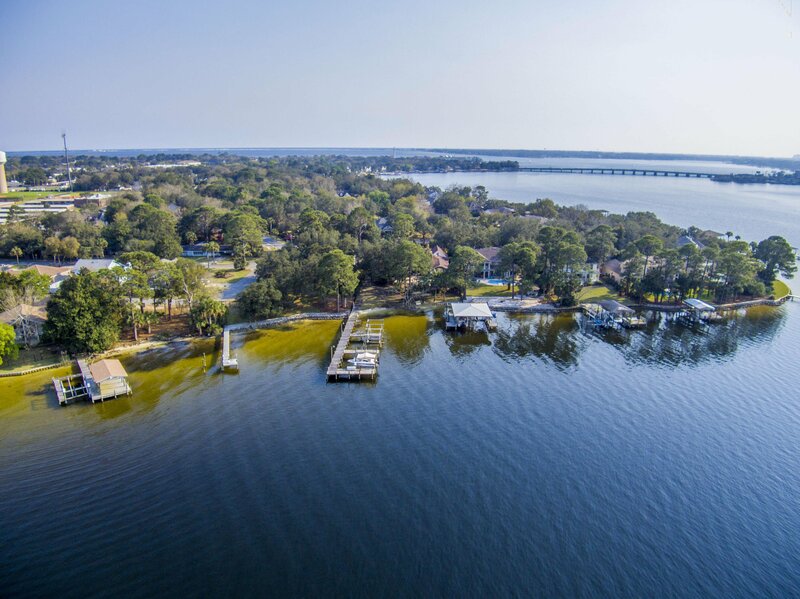 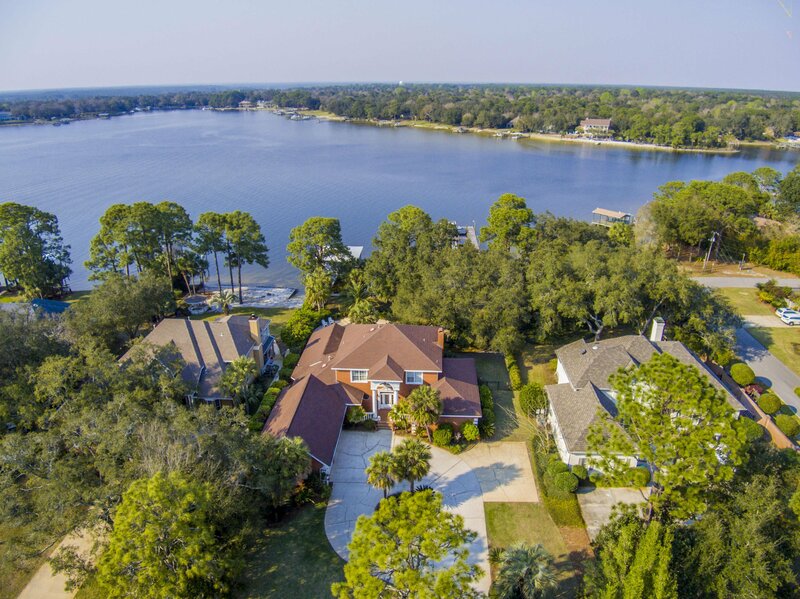 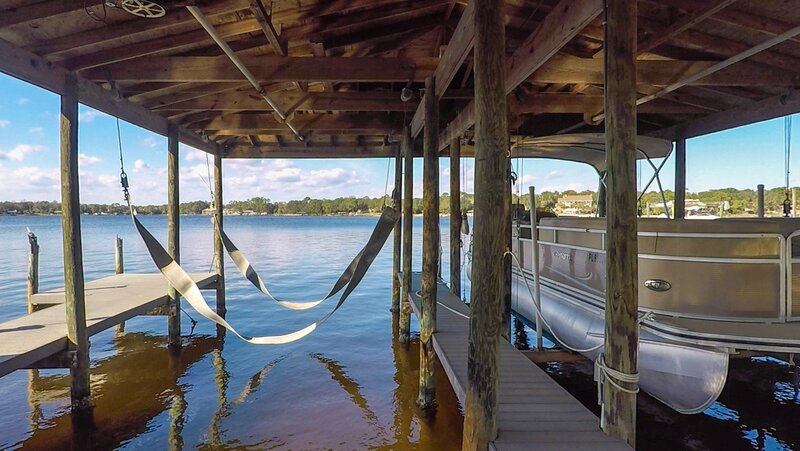 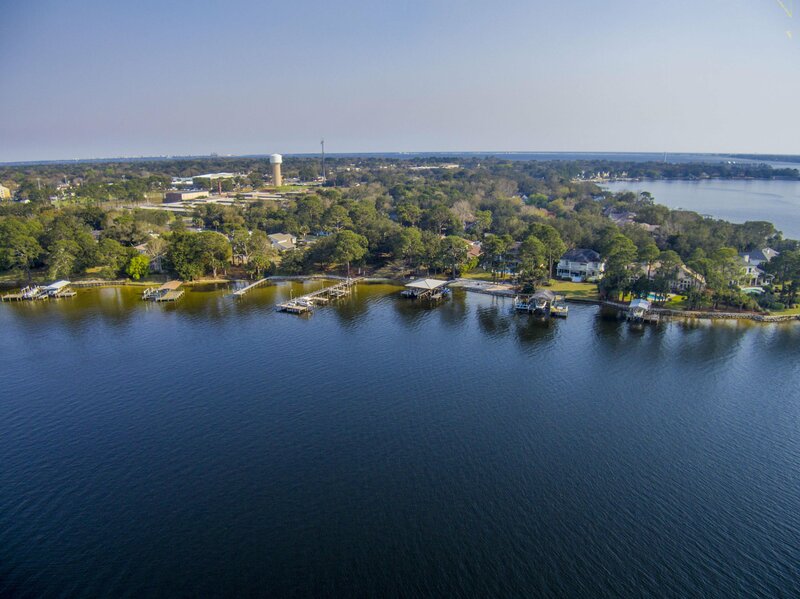 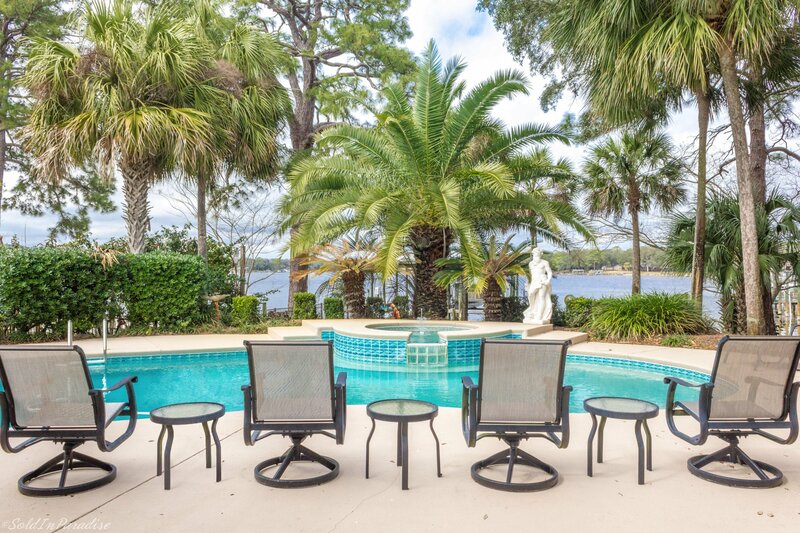 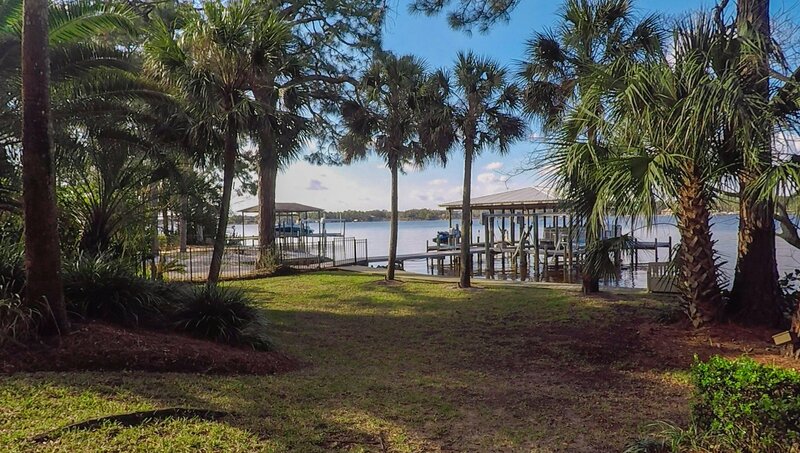 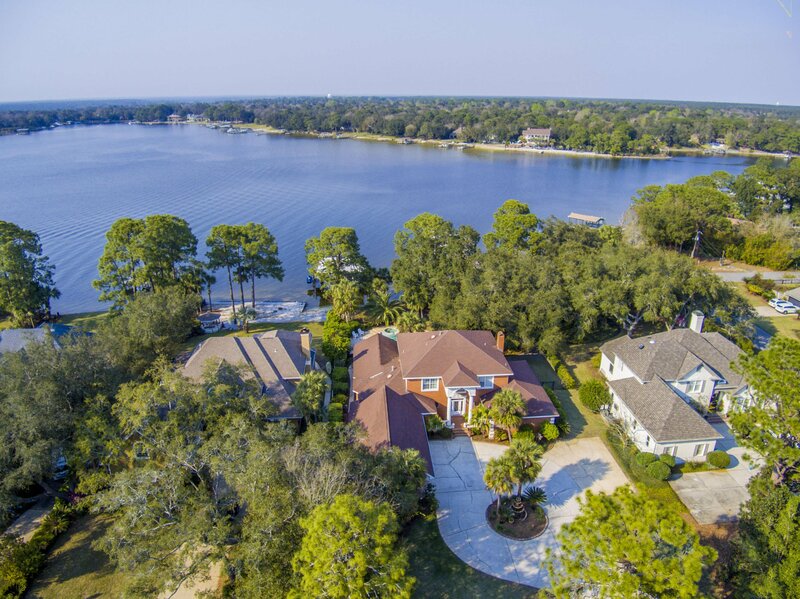 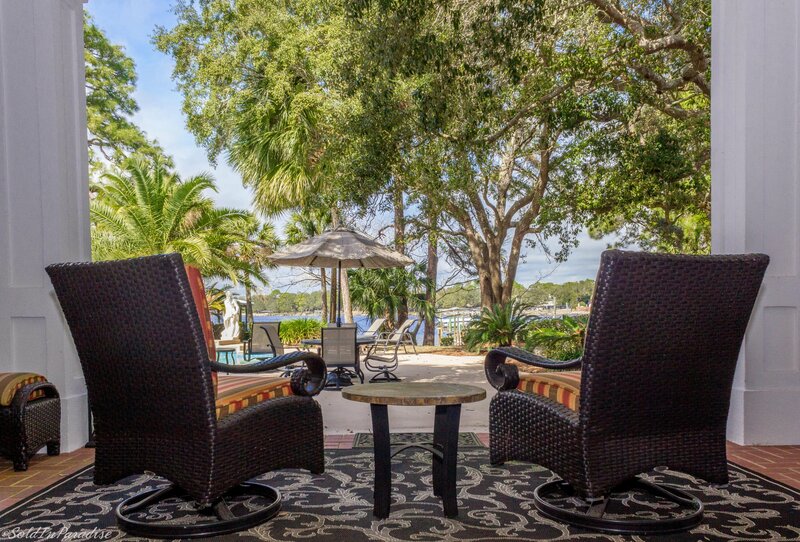 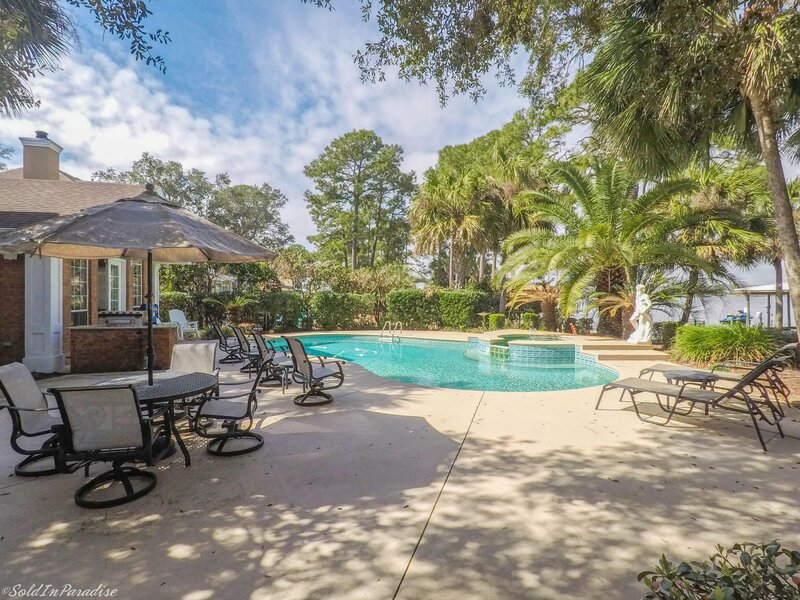 Private setting surrounded by mature landscaping, with 107 feet of waterfront, private dock, boat lift, pool, and wonderful views! 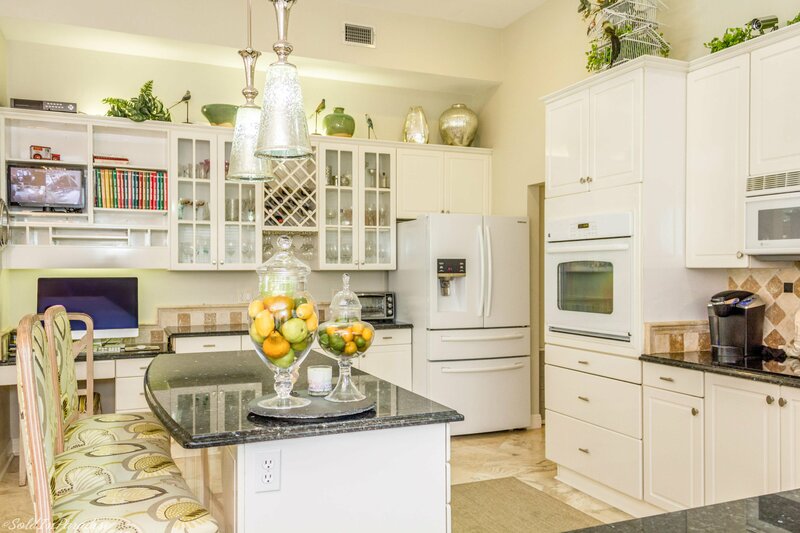 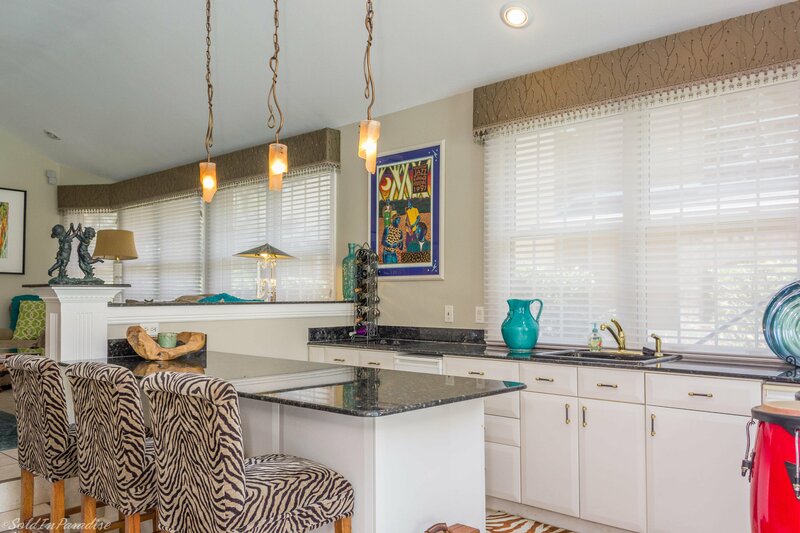 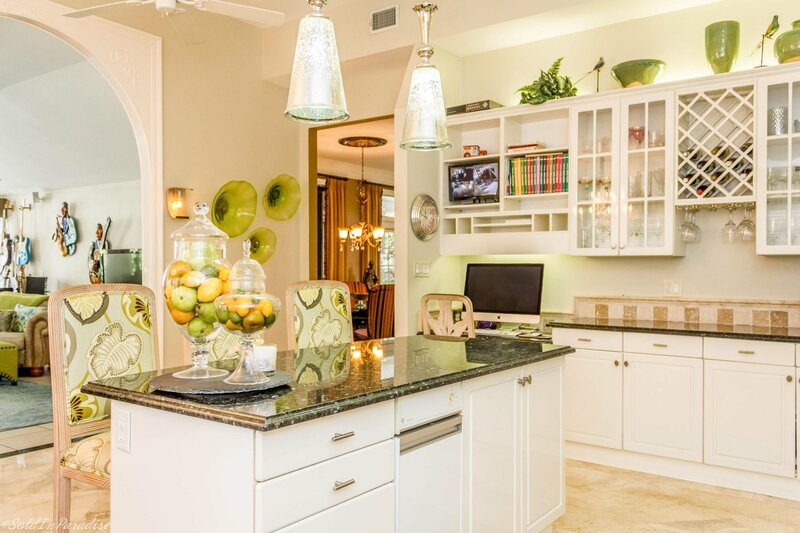 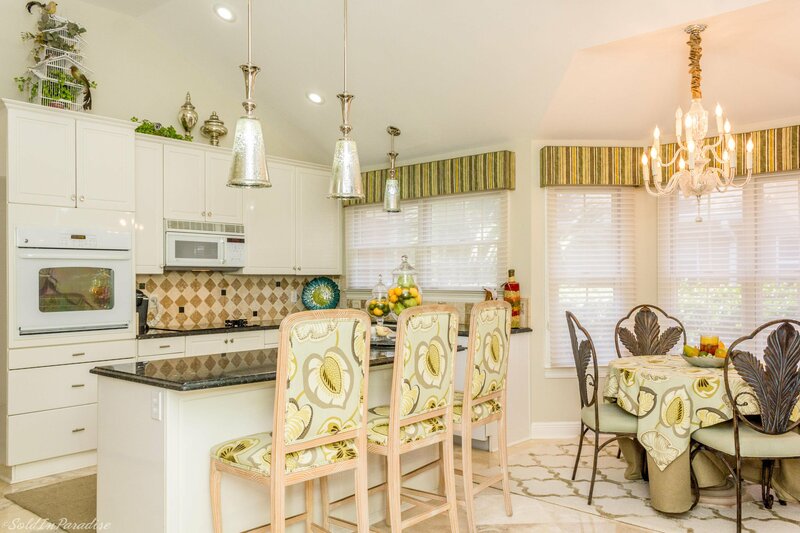 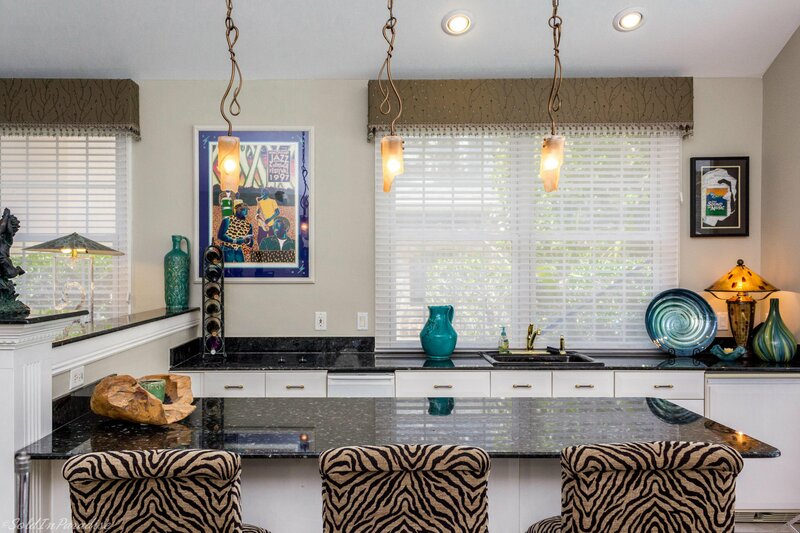 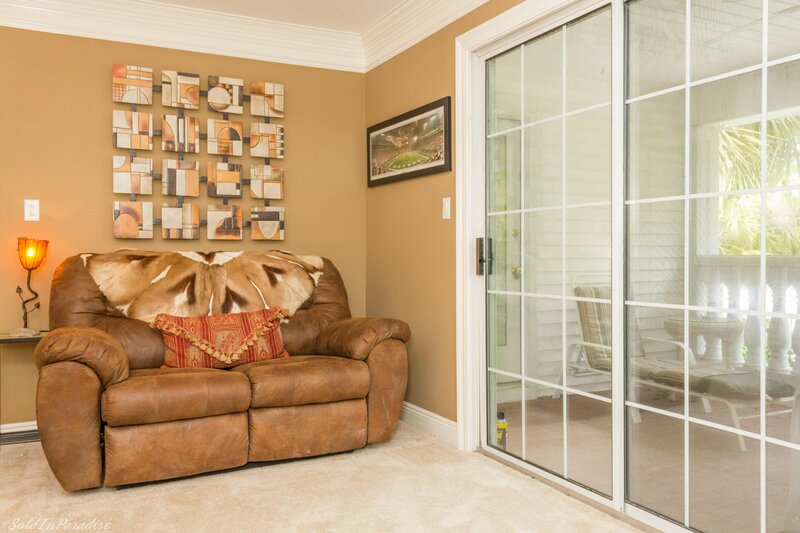 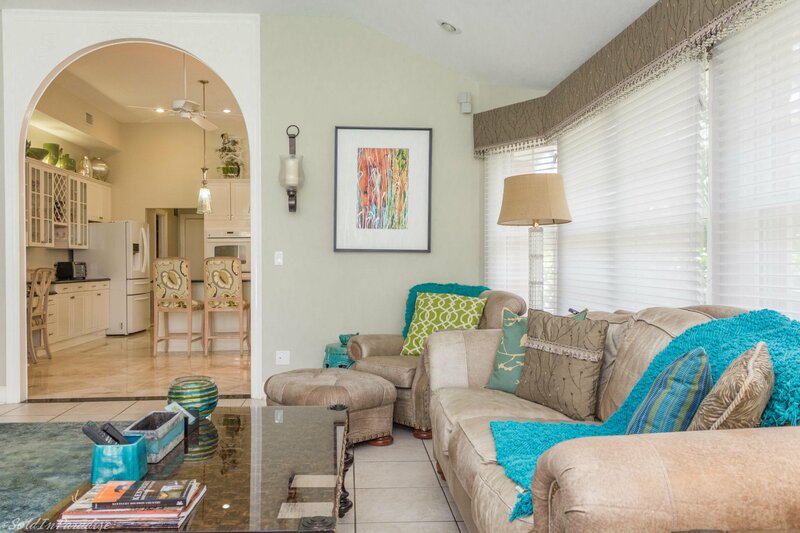 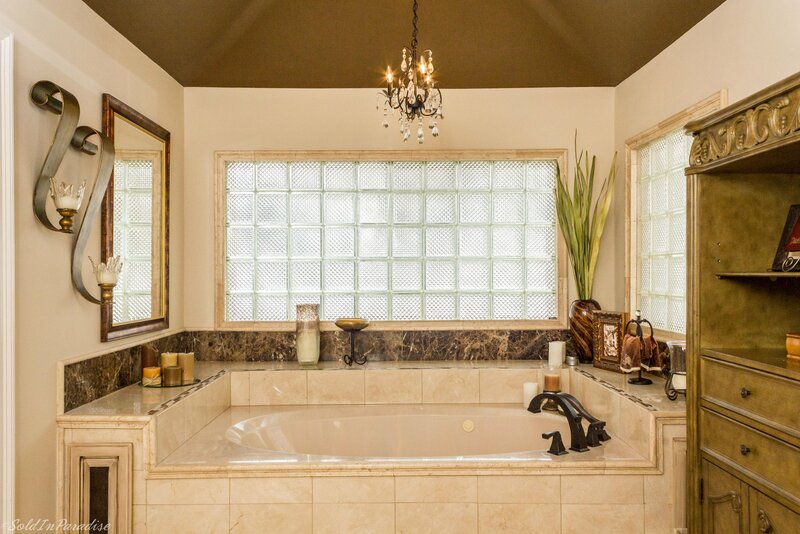 The home's finishes provide both comfort and elegance. 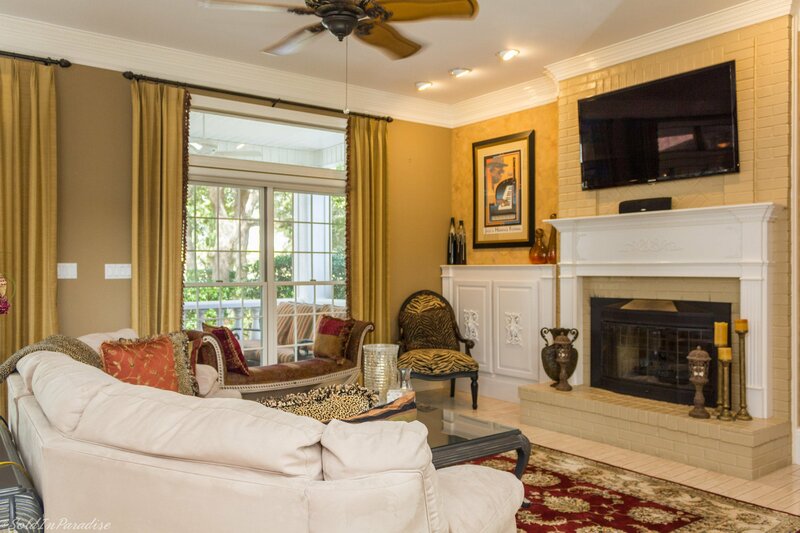 The living room has a fireplace, built-in cabinets, and natural light. 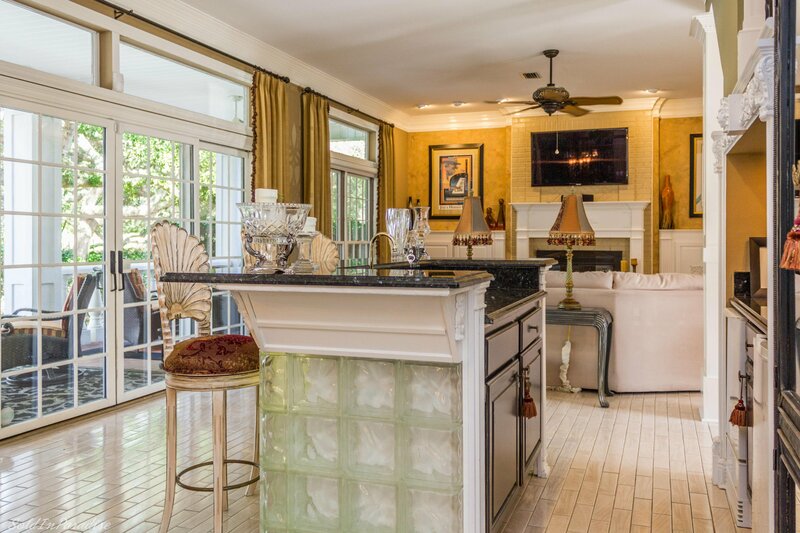 The secondary living area overlooks the pool and backyard and is just off the spacious kitchen for spectacular entertaining. 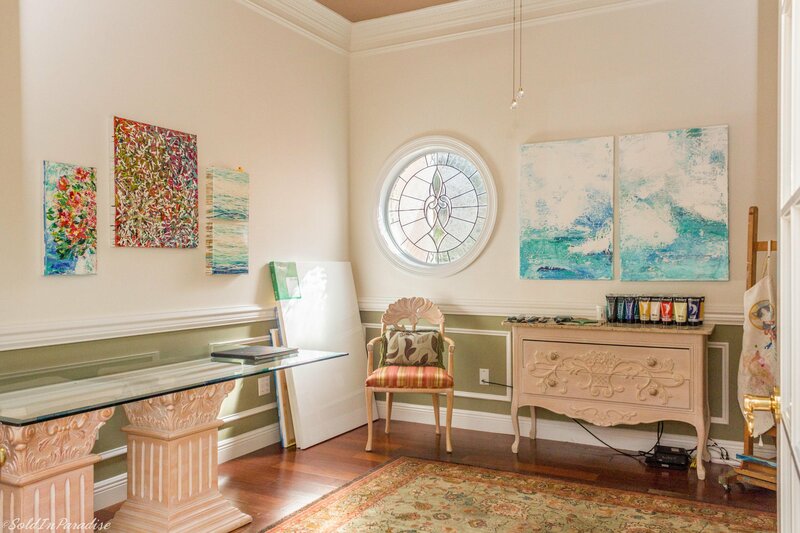 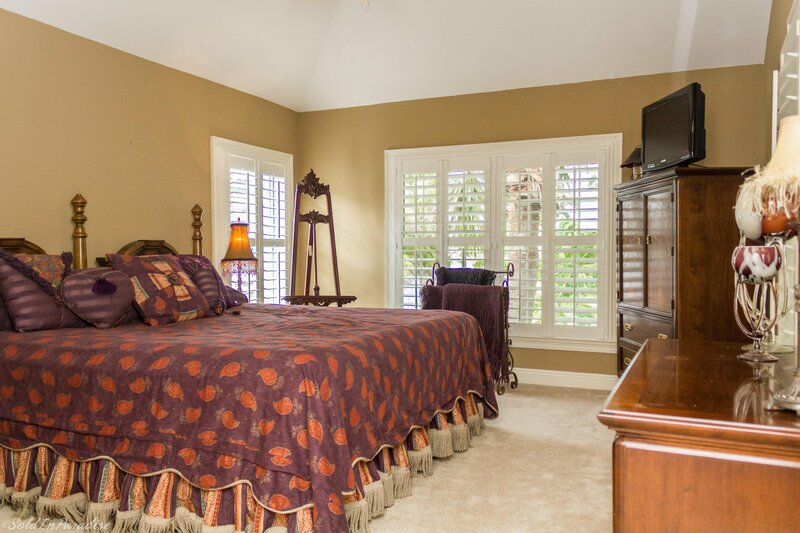 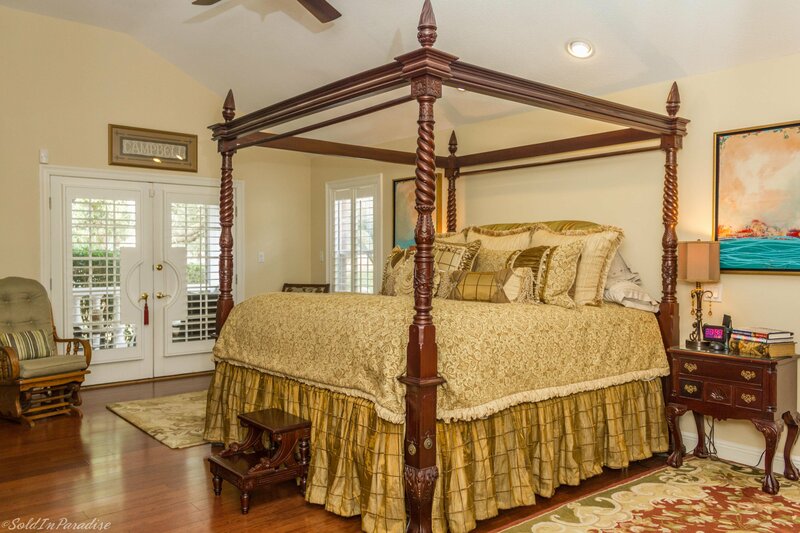 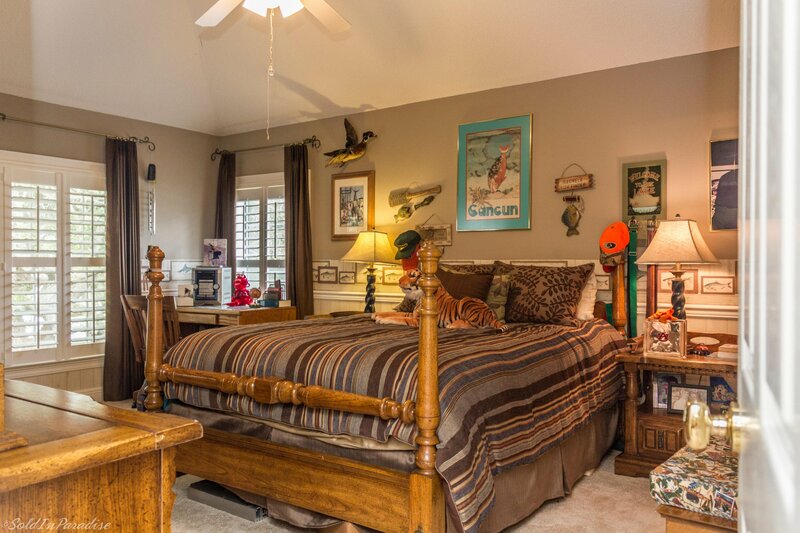 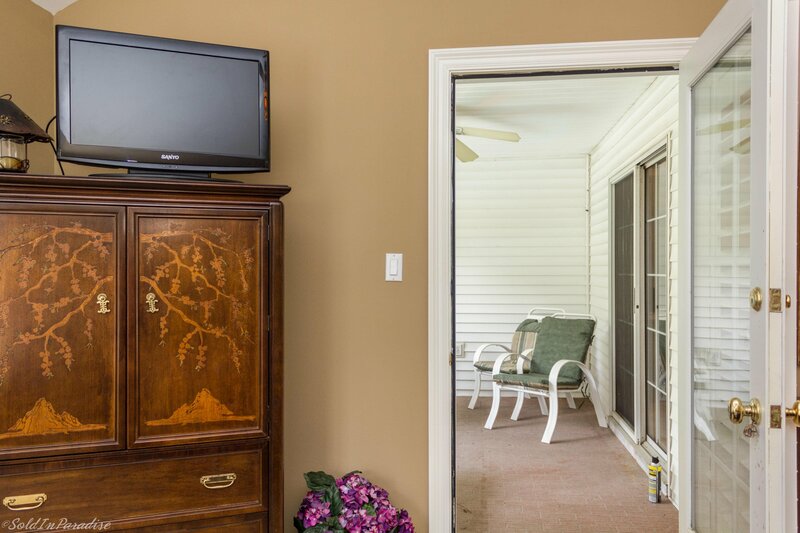 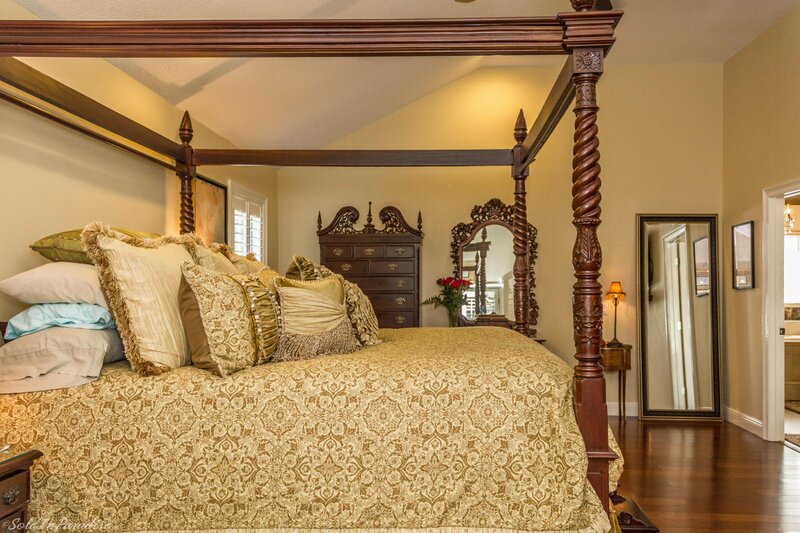 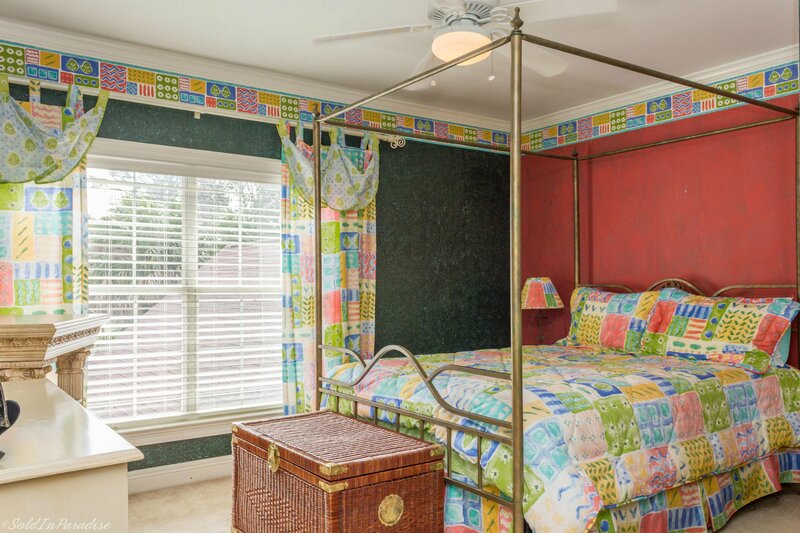 The master suite on the first floor features waterfront views and access to the delightful back porch. 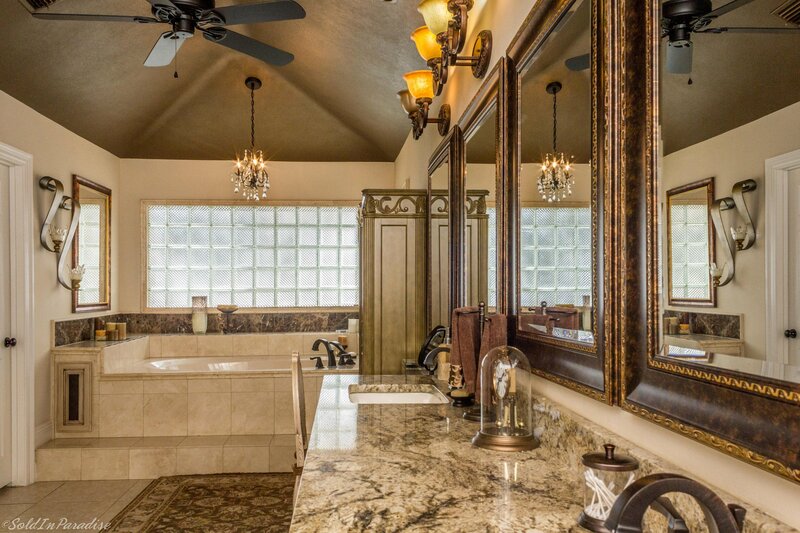 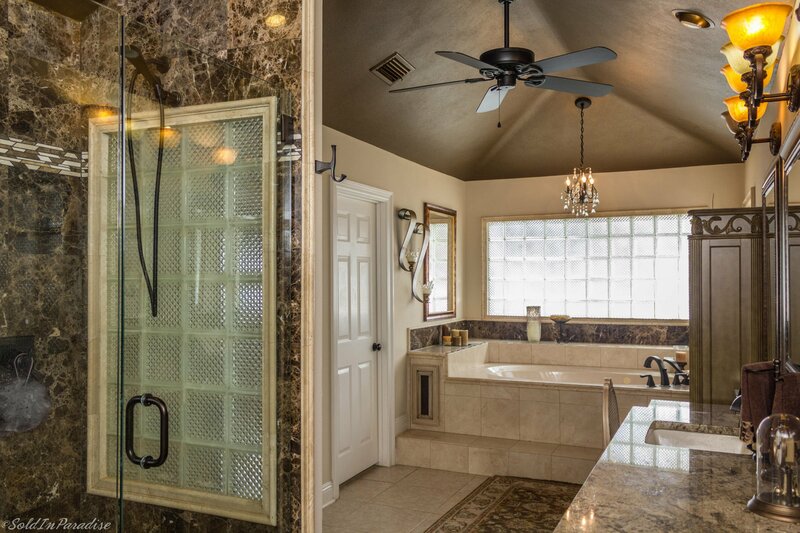 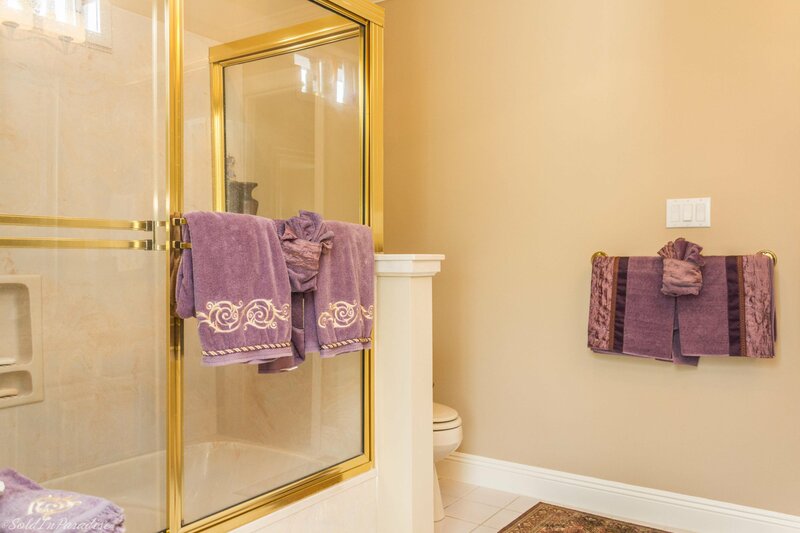 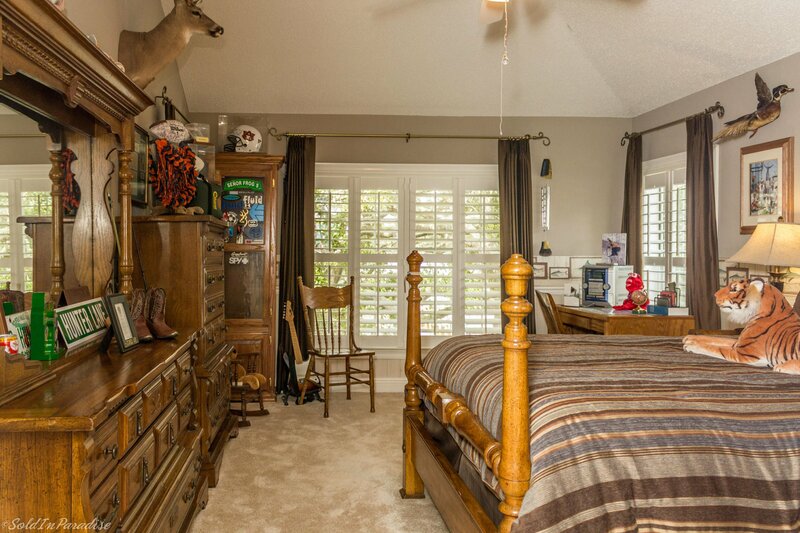 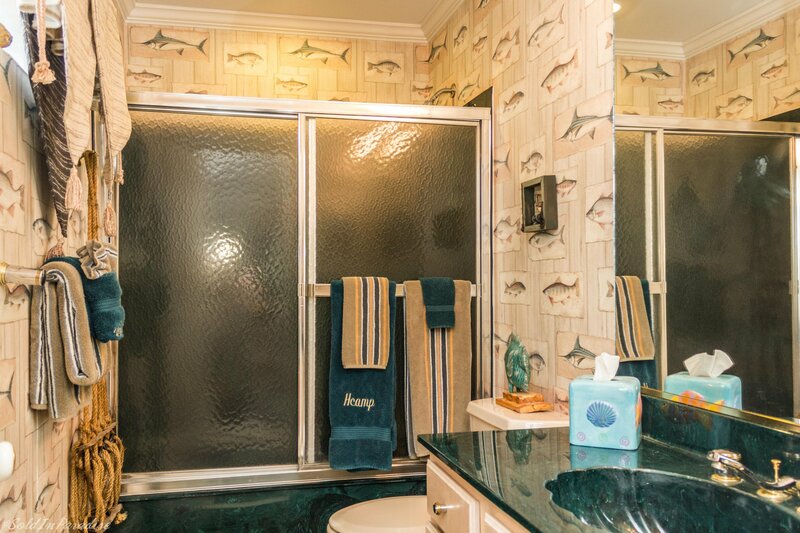 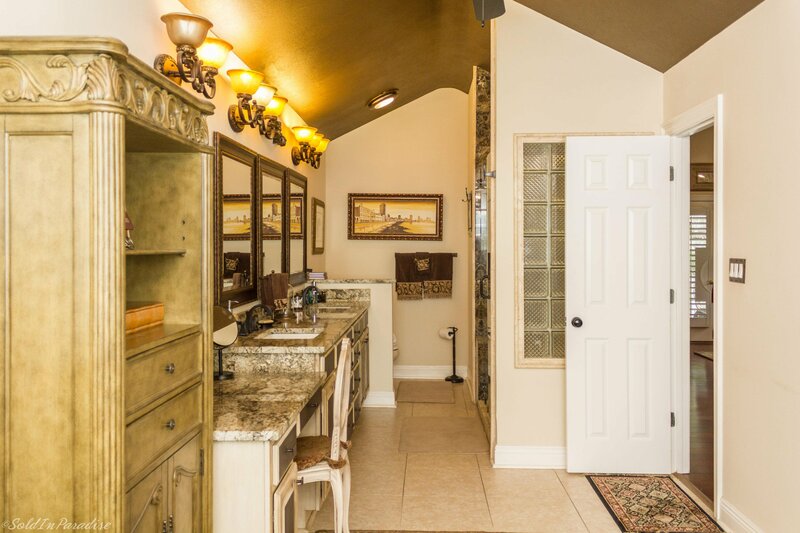 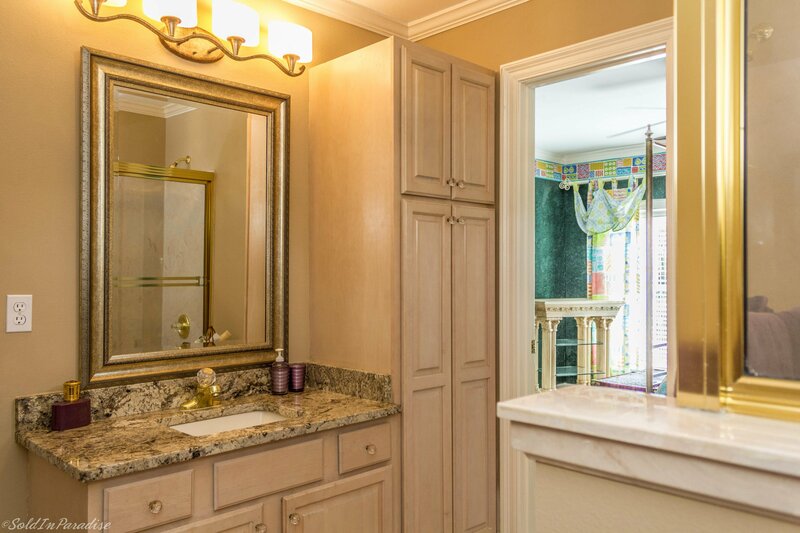 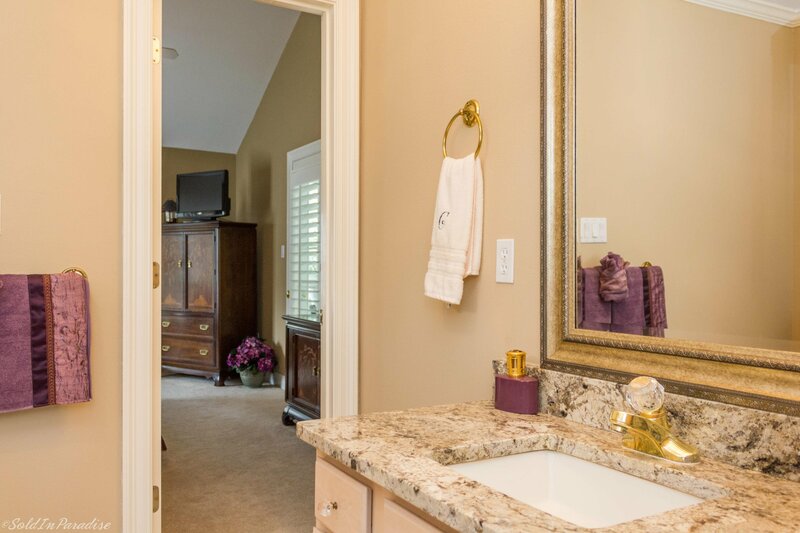 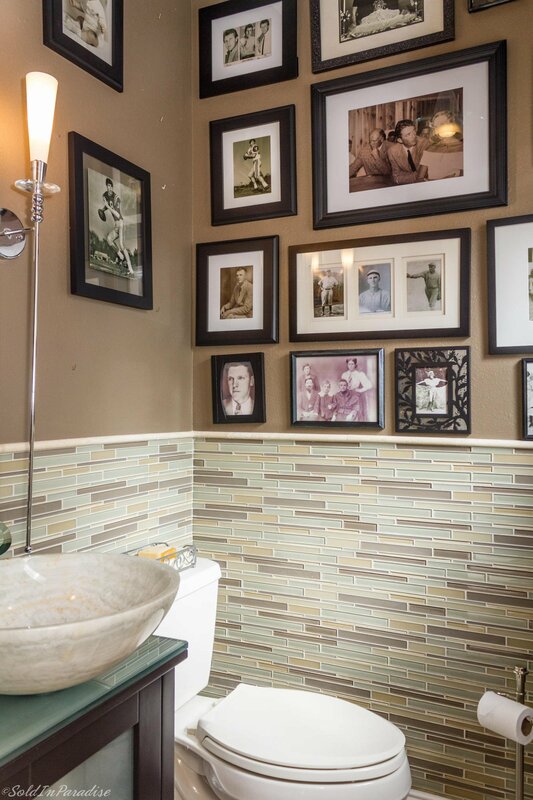 The master bath has a double vanity, separate tiled shower, jacuzzi tub, and walk-in-closet. 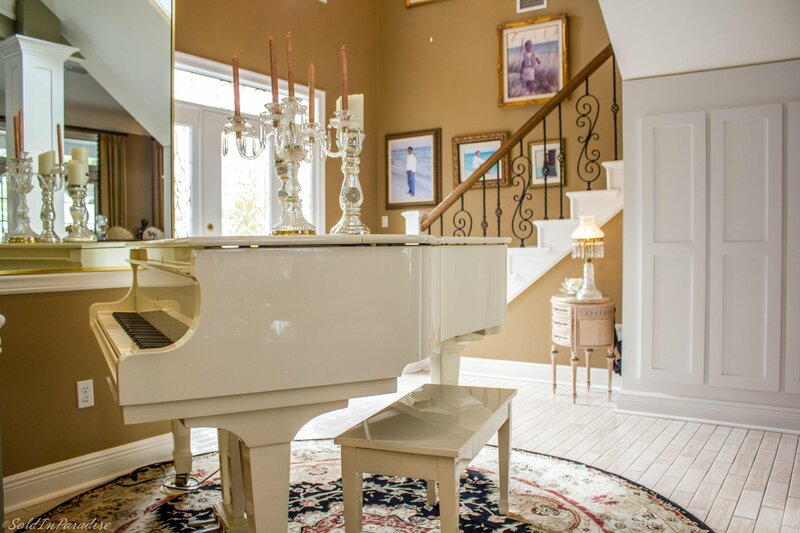 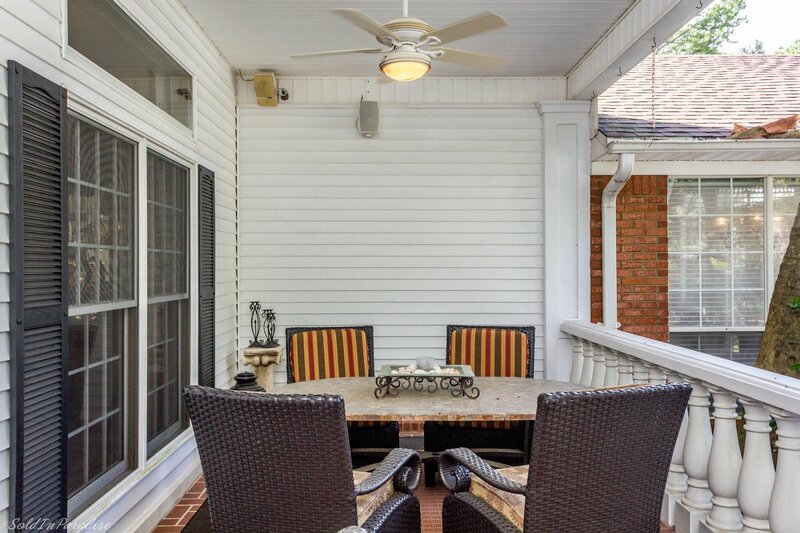 4 bedrooms and 2 full baths can be found on the second level along with a gathering room and balcony. 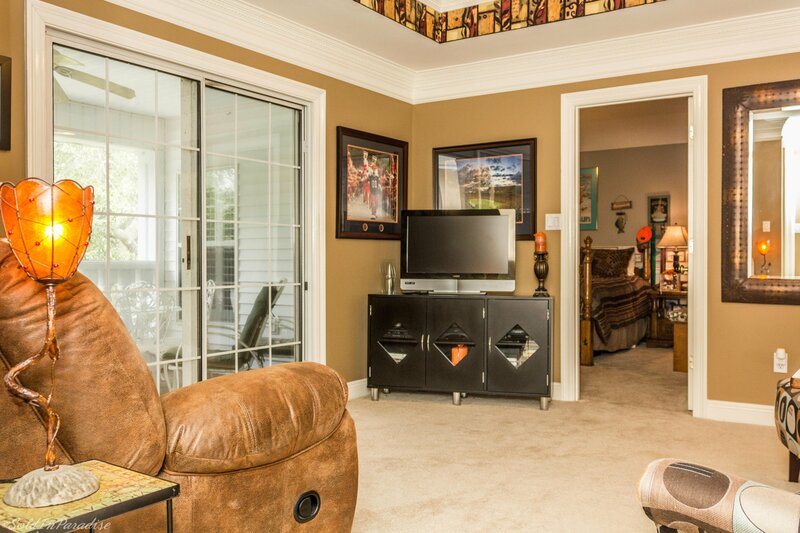 A large 36 x 11 ft bonus room is above garage.